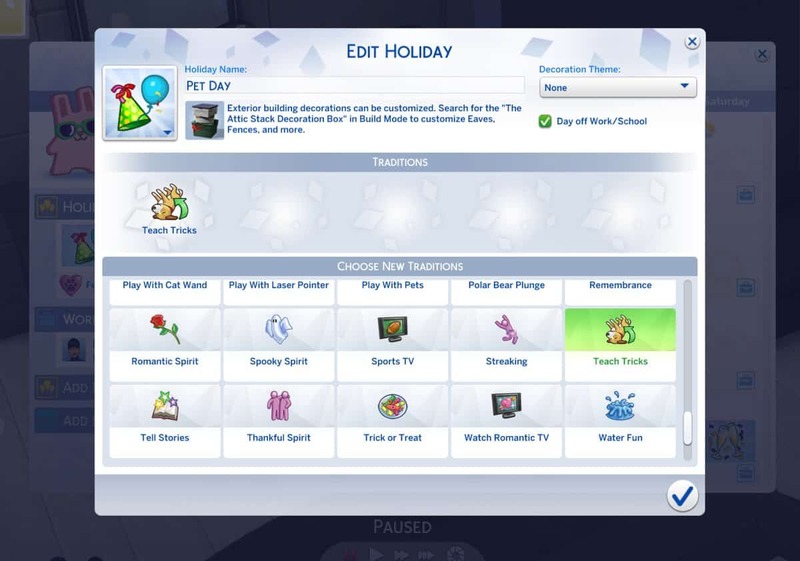 With the release of The Sims 4 Seasons I was hoping that this Expansion Pack would allow us to pick traditions for multiple packs that we’ve received over the years. 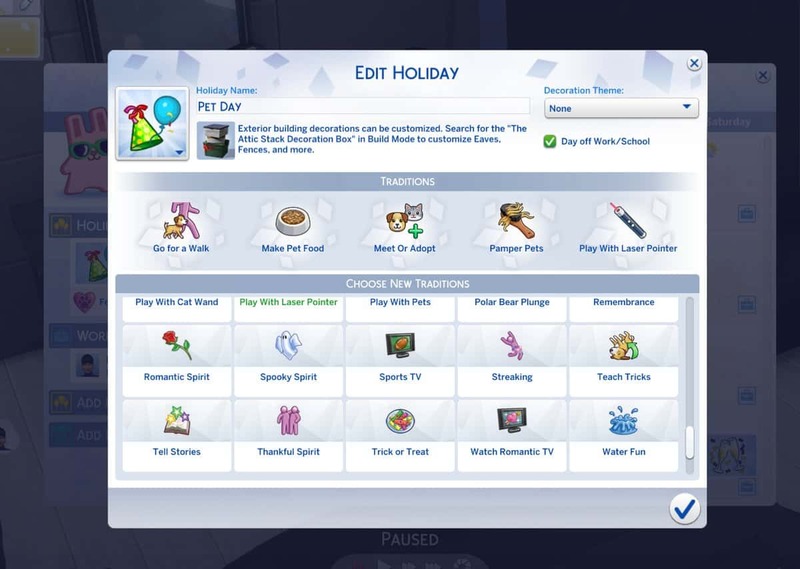 However, the only tradition that we got was the Fireworks tradition with The Sims 4 City Living. 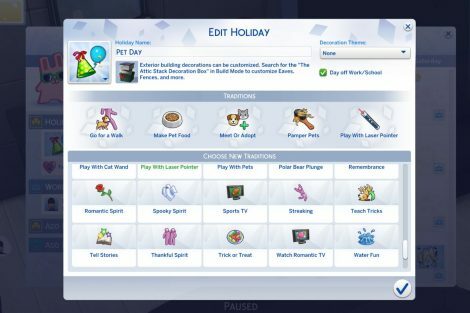 Considering that The Sims 4 Cats & Dogs adds 2 new animals to play with many were left disappointed that there are no traditions that would encourage our Sims to play with our beloved pets in the game. 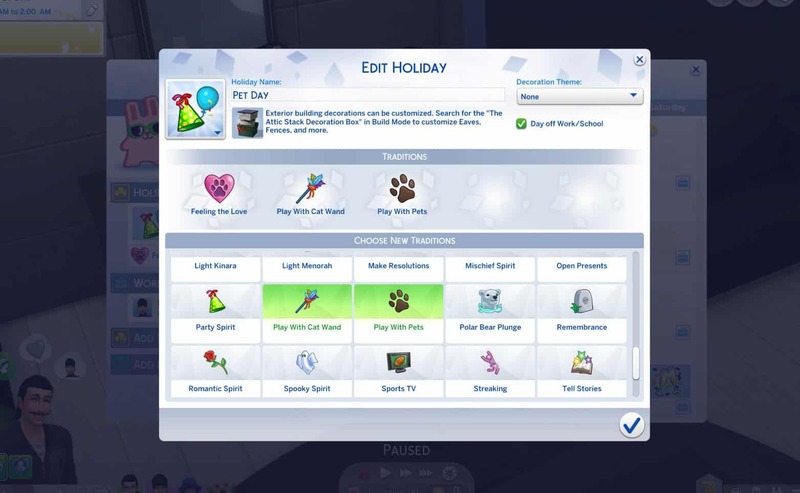 However, a talented modder @icemunmun was able to create multiple traditions that revolve around playing with and taking care of your pets! 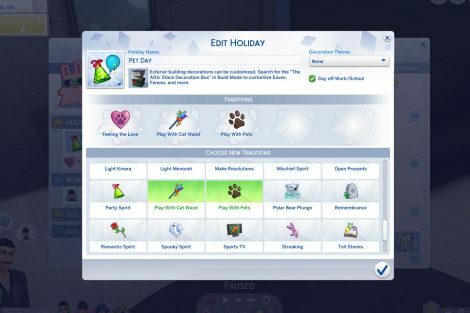 We’re not sure if there are going to be more pet traditions included but even these 9 traditions that this modder has made are more than enough to create a perfect Pet Holiday! There’s no information when these mods will come out but the modder has stated that she’ll release them soon as she needs to do a bit more testing.